Professional Movers Serving the U.S and the World Since 1955. With our locations in Canton, MI and Bessemer, AL our movers are readily available to serve these states and beyond. Our moving services reach across the country and around the globe. DMS Moving Systems provides local, long distance and interstate moving, corporate relocation, commercial moving services, and government & military moves, just to name a few. 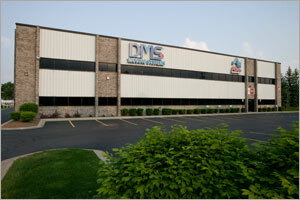 Contact us today at our Canton, MI or Bessemer, AL location to get started with your move.